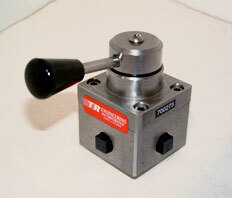 TR Engineering's Stainless Steel MDC Valves are available in 2 types of construction, S1MDC and S2MDC. S1MDC Series: Offers stainless construction with a sealed rotor, bronze poppets and is available with a 3000 PSI pressure rating. S2MDC Series: Offers stainless steel external parts for hydraulic service. The internal parts on the MDCS2 series are heat treated alloy steel and stainless steel. Available with 3000 PSI, 6000 PSI or 7500 PSI Pressure Ratings. 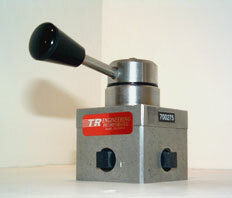 Two working pressure ratings are available, 3000 PSI and 6000 PSI. 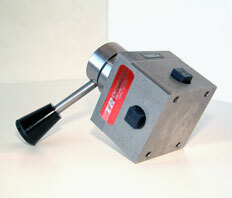 CV factor is .26 for the 1/8" NPT and -4 SAE, and .29 for the 1/4" NPT and -6 SAE. Normal operating temperature range is -40 degrees F to +160 degrees F with standard nitrile seals. For panel mounting, the hole should be 1 13/32" diameter and with a maximum thickness of 5/16". Stainless Steel Mounting bolts are included with manifold mount valves. Develop valve model number from above table. 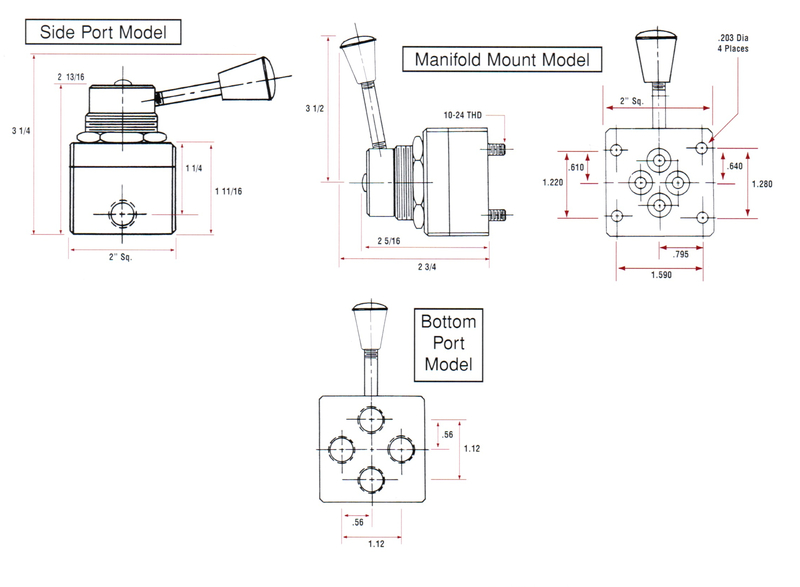 On Bottom Port Valves, only 1/8" NPT, 1/4" NPT and -4SAE are available.